Government officials from Canada and Mexico slammed the Trump administration’s proposals to renegotiate NAFTA in front of the top U.S. trade negotiator on Tuesday. He, in turn, lambasted the two leaders as they were standing right next to him during a televised news conference. “We have seen proposals that would turn back the clock on 23 years predictability, openness and collaboration,” Canadian Foreign Minister Chrystia Freeland said in Washington. 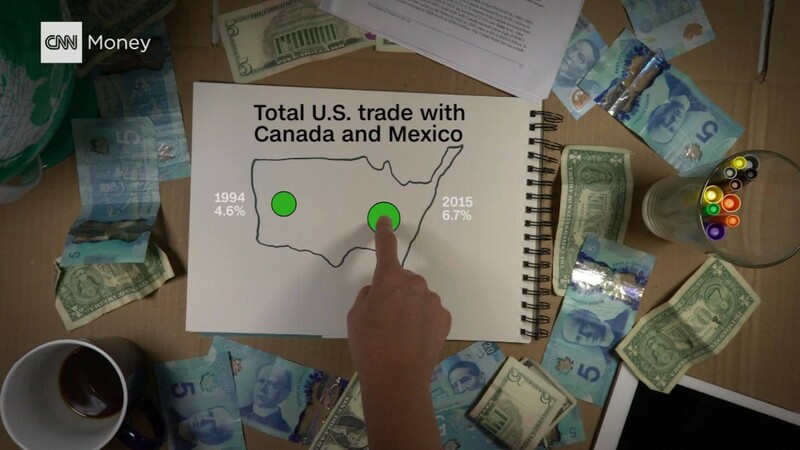 “We must ensure that decisions we make today do not come back to haunt us tomorrow,” Mexico Economy Secretary Ildefonso Guajardo added, alluding to the U.S. proposals to rework the free trade pact. Robert Lighthizer, the U.S. Trade Representative, didn’t mince words in response to the criticism. The verbal blows concluded Round 4 of talks to renegotiate NAFTA. All sides remain committed to talks for now: The next round will be in Mexico City starting November 17. Negotiations are now expected to go into the first three months of 2018, according to Lighthizer. Canadian and Mexican officials rejected some U.S. proposals introduced during the latest round, according to one government source from each country. Despite a two-day extension, talks this week ended without any progress on a few key issues. Canada opposed a U.S. provision designed to create more jobs for American manufacturers of cars and parts, the Canadian source said. It also rejected the Trump administration’s suggestion that the trade agreement should be up for renewal every five years. Freeland also made it clear that Canada opposed an American proposal to rewrite how companies resolve disputes. “We made it clear that these are issues that from the Canadian side are non-starters,” the Canadian source, speaking on the condition of anonymity, told CNNMoney. Mexico also opposed the five-year provision, known as a sunset clause, the Mexican source said. Guajardo, Mexico’s top negotiator, had already made his opposition clear to the other proposal on auto production. The first key disagreement is over “rules of origin.” It governs how much of a car has to be manufactured in North American to avoid import taxes in the three countries that make up NAFTA. Under current rules, at least 62% of the parts have to come from North America to avoid border taxes. It doesn’t matter if the car parts are made in Mexico, Canada or the United States, as long as they were produced in North America. The U.S. proposed raising that threshold to 85%, according to the Canadian government source. The U.S. also proposed that half of the parts that come from North America must originate from the United States. So instead of one rule for all of North America, the Trump administration is suggesting two — one for the U.S., one for all of North America. “We are opposed to country-specific required rules of origin,” the Canadian source said. The Mexican source would not comment on rules of origin. However, Mexican Economy Secretary Ildefonso Guajardo told CNNMoney in April that such a proposal wouldn’t work for him. Under the sunset clause, the agreement would expire every five years unless all three nations agree to sign on for five more. Critics say it would create too much uncertainty for foreign investment. Canada and Mexico won’t stand for it. “We couldn’t accept it,” the Mexican government source said Tuesday.